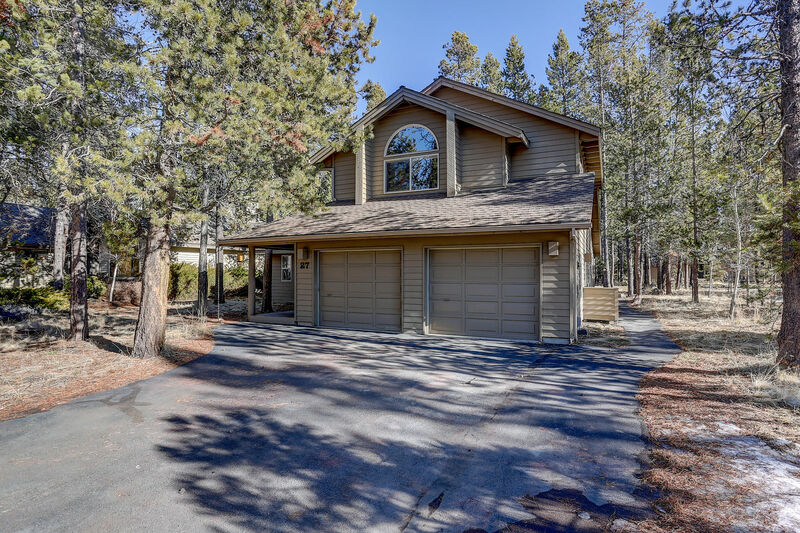 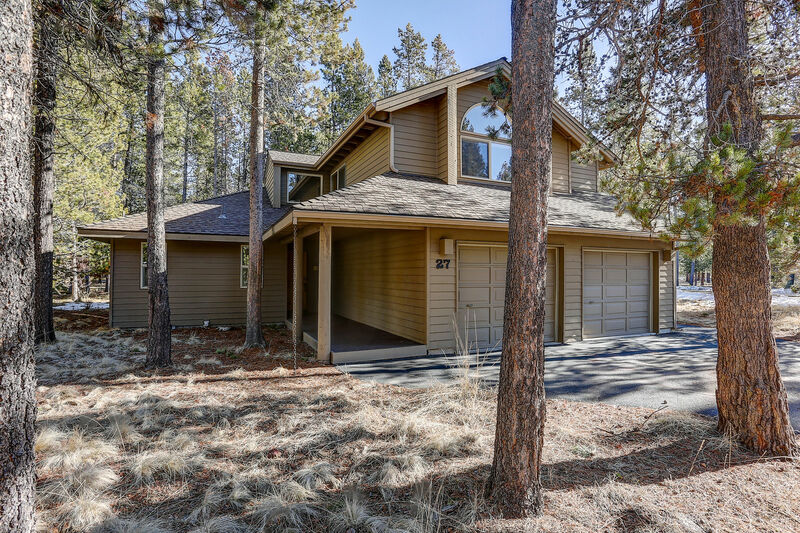 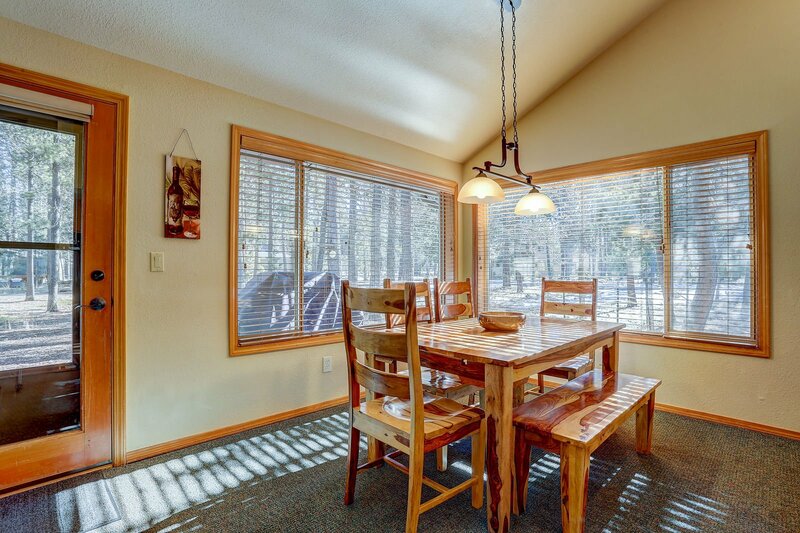 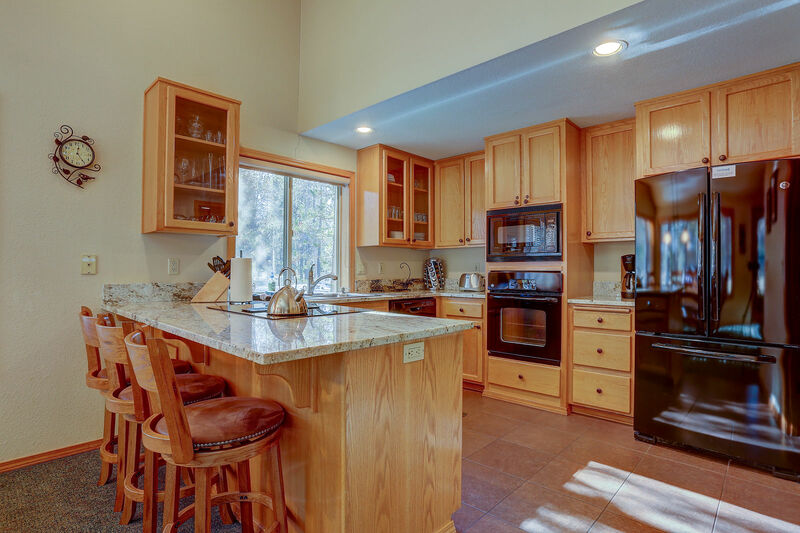 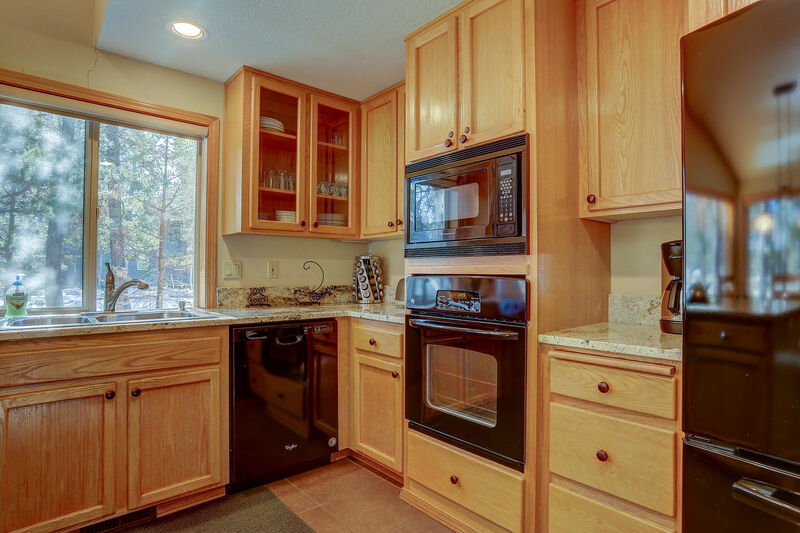 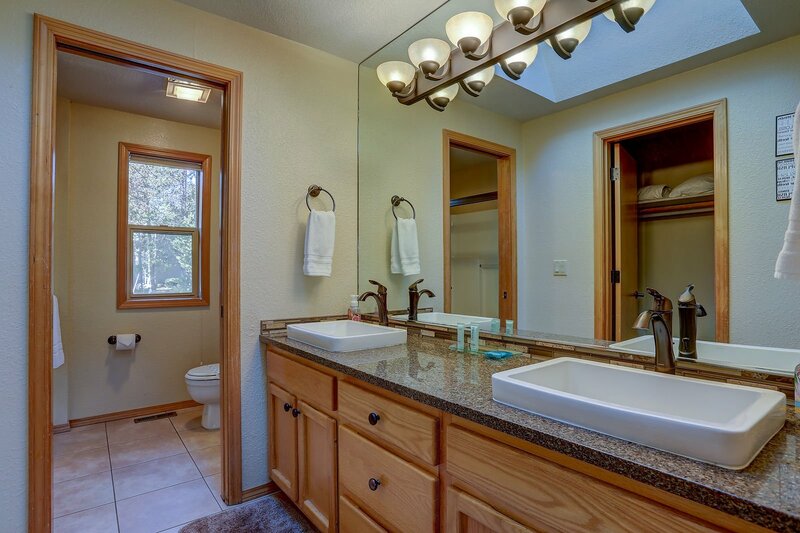 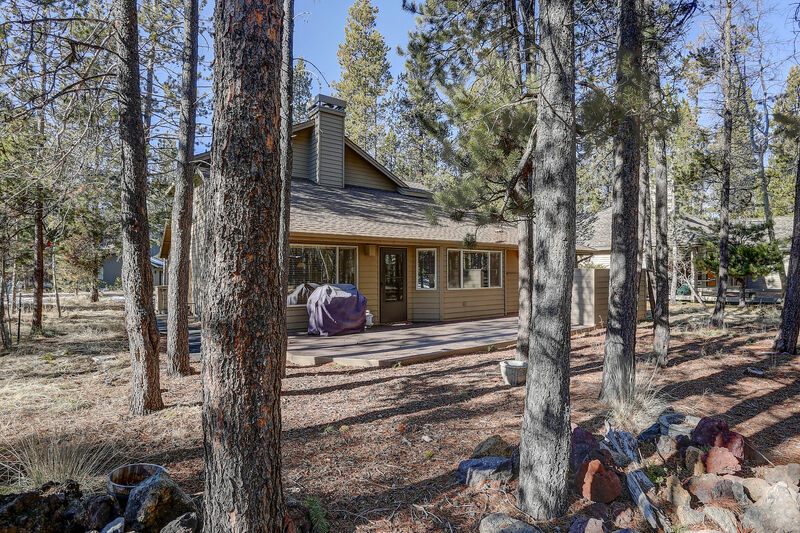 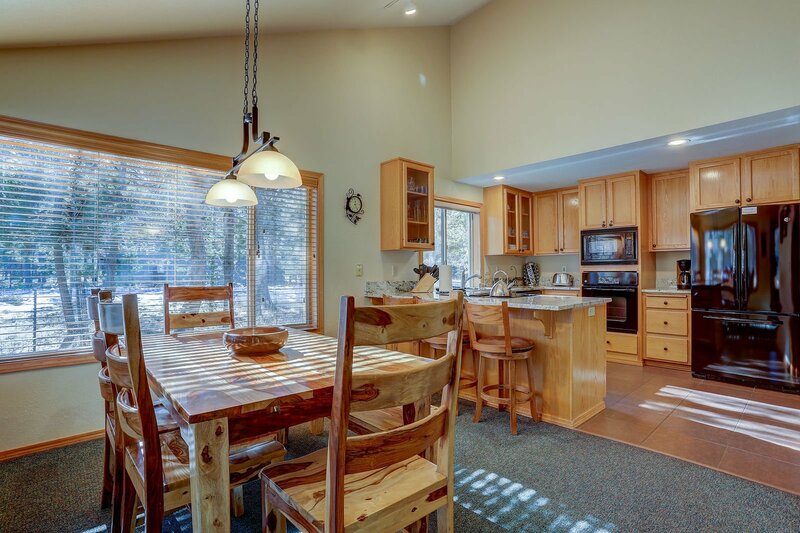 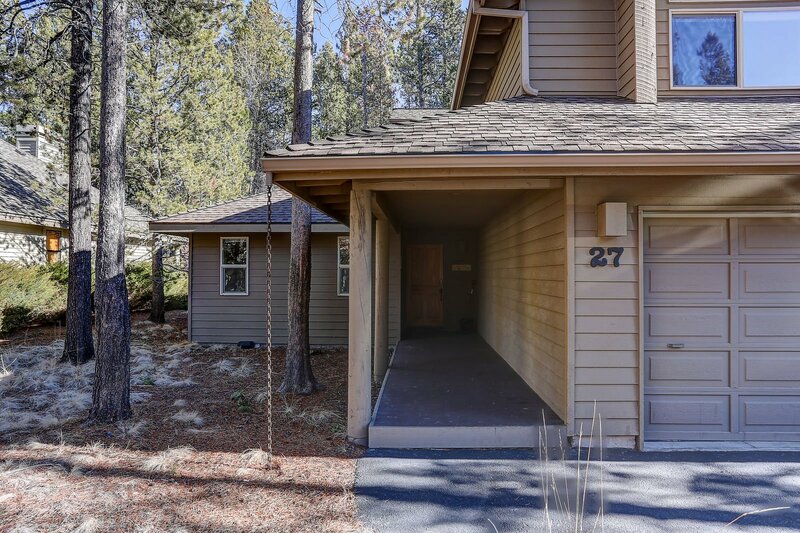 27 Gannett Lane, one of our all-time favorite vacation rentals in Sunriver, Oregon has been newly remodeled, furnished and upgraded. 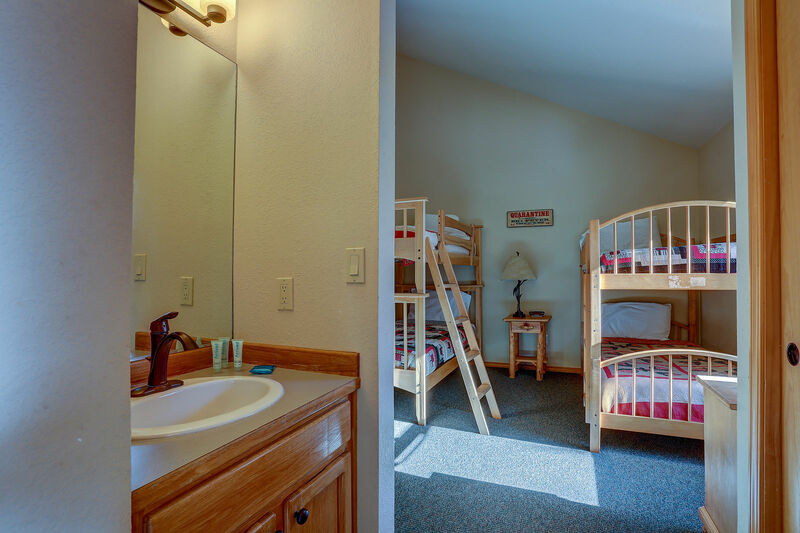 It is the perfect vacation spot for your family. 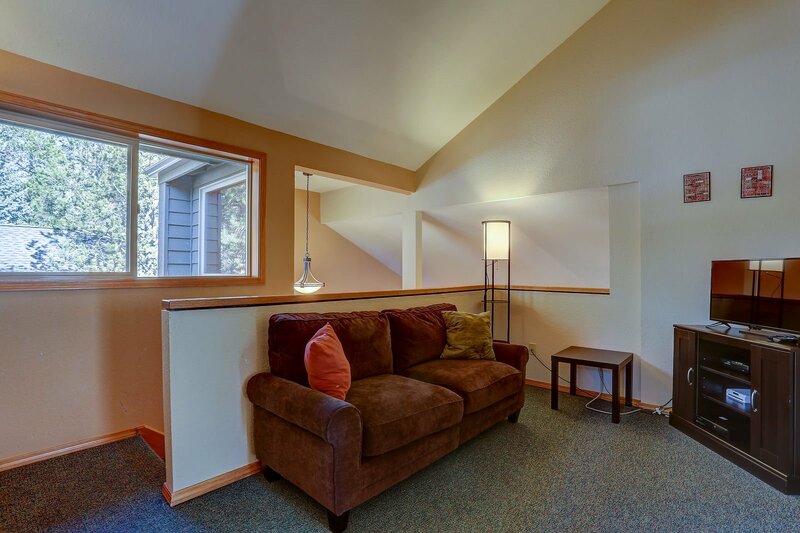 With 1650 square feet, this 3 bedroom + loft and 2.5 bath home, has room for the entire family to sleep comfortably. 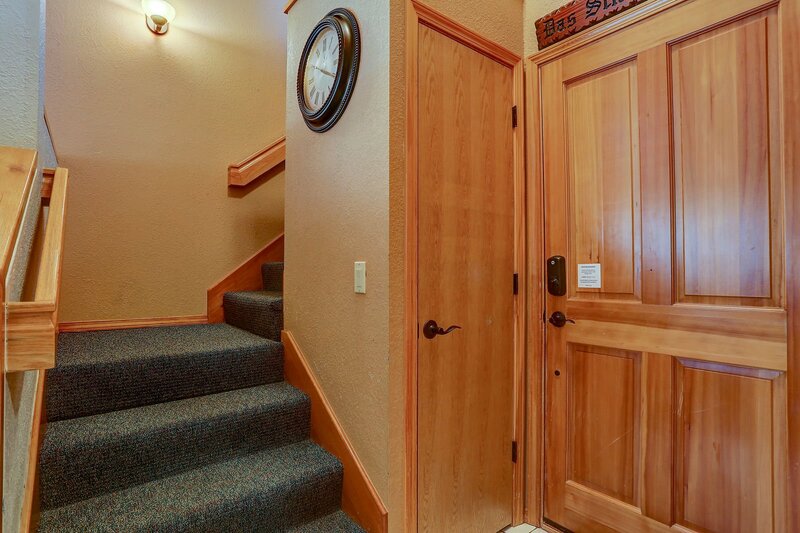 Unlimited-Use SHARC Passes for 8 guests are always included in the rental of the home. 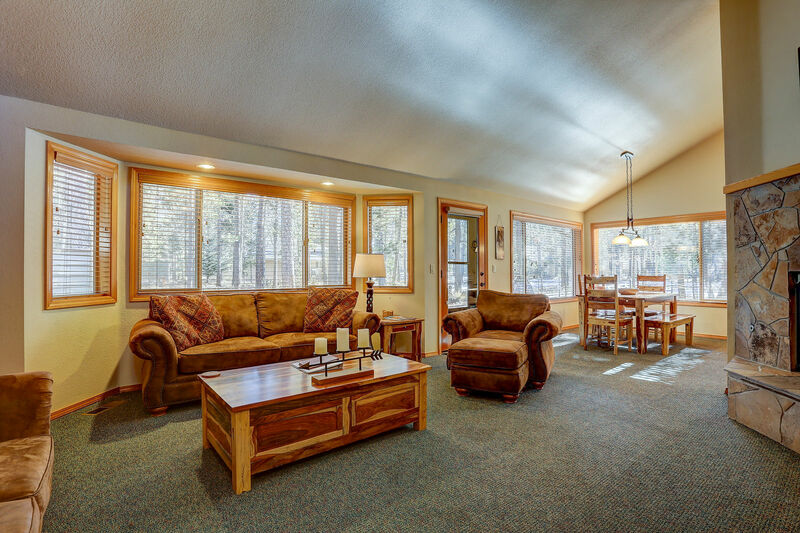 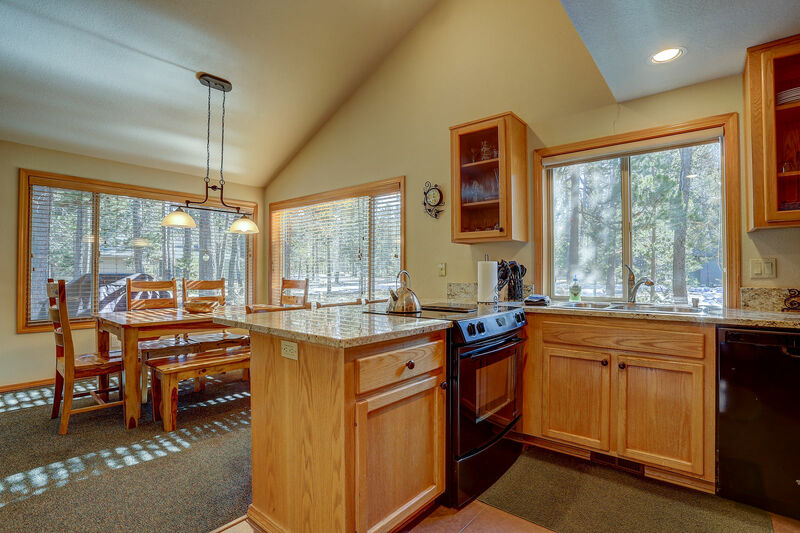 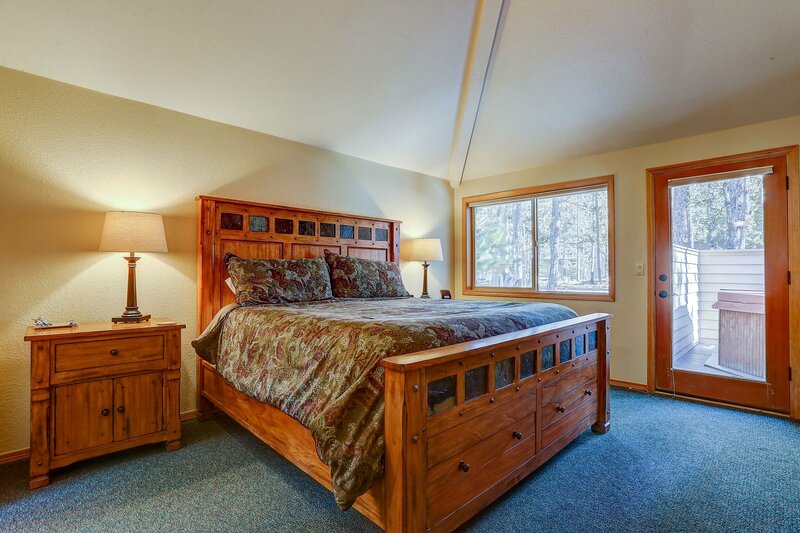 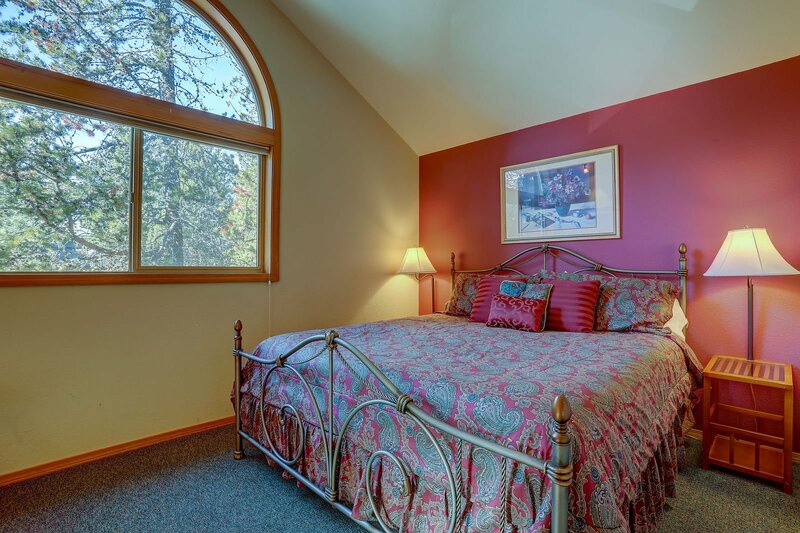 Enjoy the nature and the mountain air, in the great outdoors of Sunriver.. 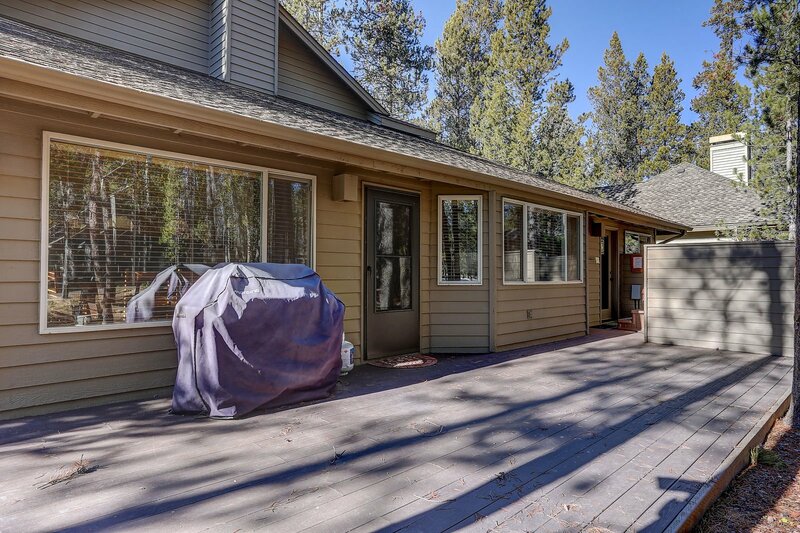 There is also a private hot tub on the deck for relaxing after a long day on the bike paths, golf course, or other Central Oregon adventures. 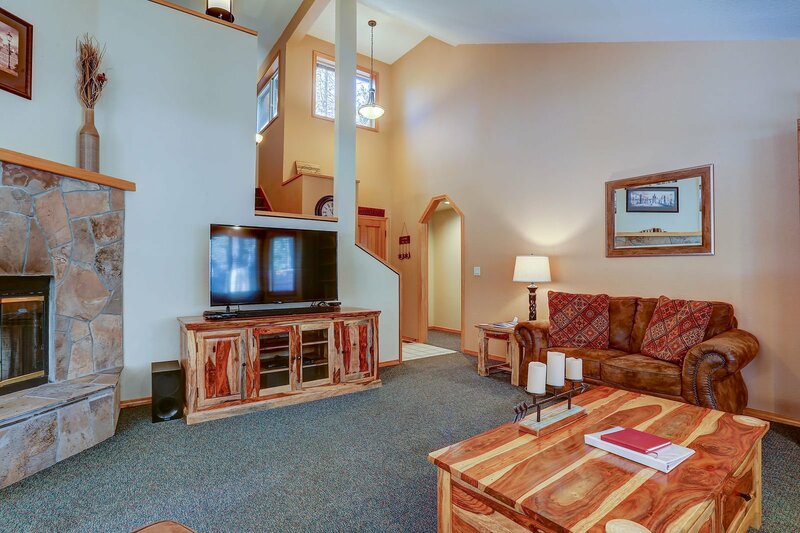 The home is 2-story with 3 bedrooms + an additional loft. 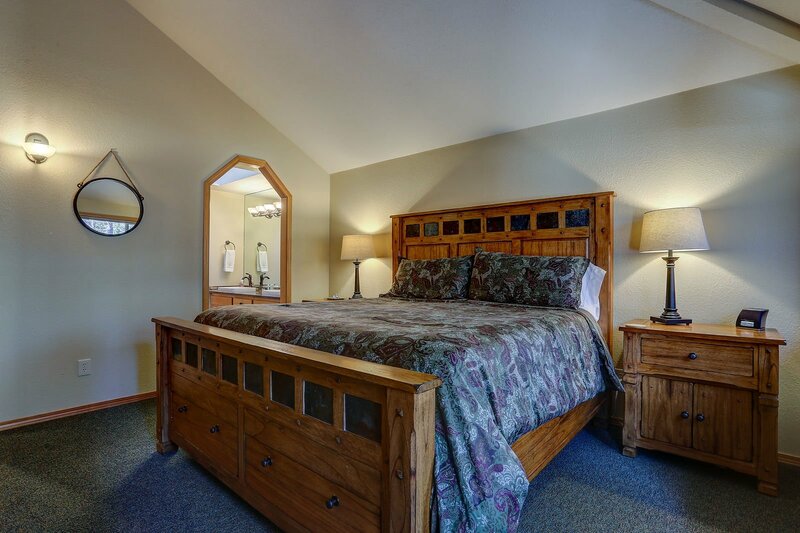 On the main level, are the living, kitchen and dining areas, and the King Master Suite which has a private bath. 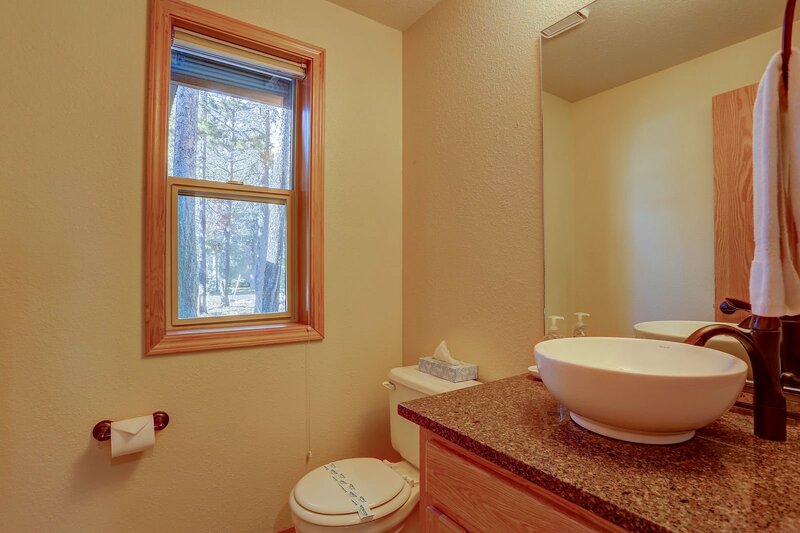 There is also a half bath downstairs. 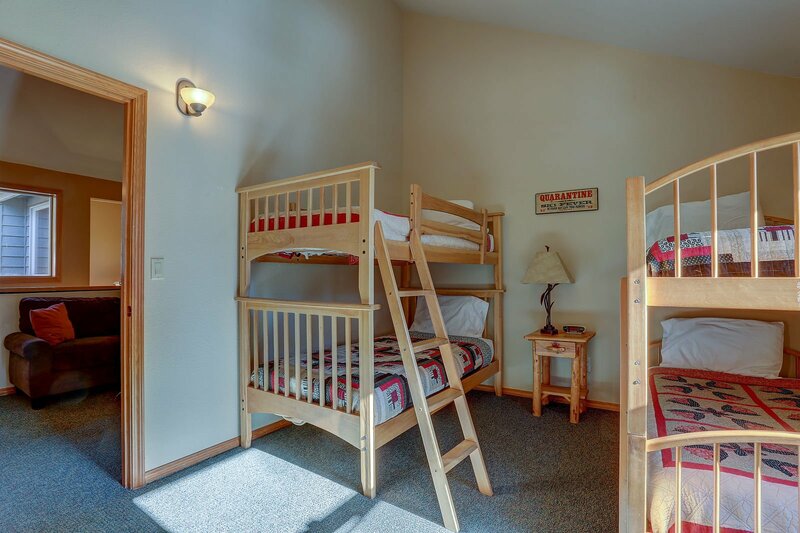 Upstairs is an additional King Bedroom, a bunk room with 2 sets of twin bunks (4 twins total), and a loft (open to living below) with a sofa, TV and gaming area. 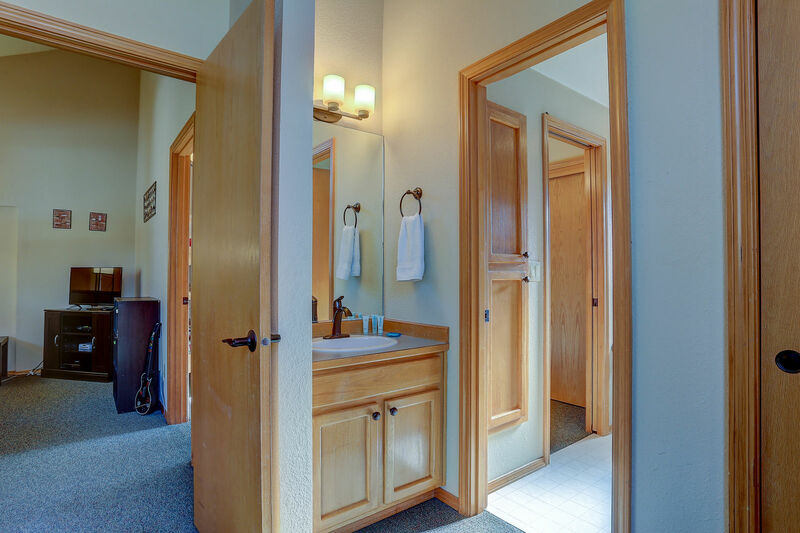 There is a hall bathroom for the upstairs bedrooms to share. 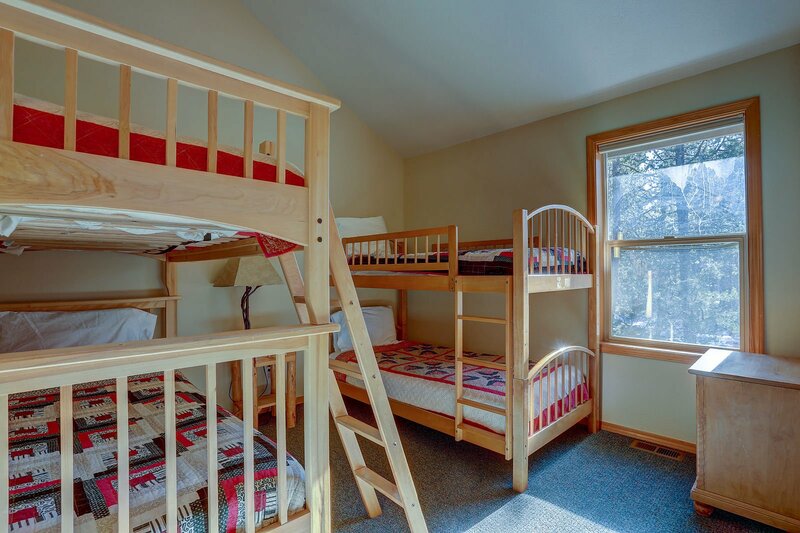 We have provided a pack-n-play and a portable booster chair for the littles in your family as well as a new self-inflatable Queen size mattress. 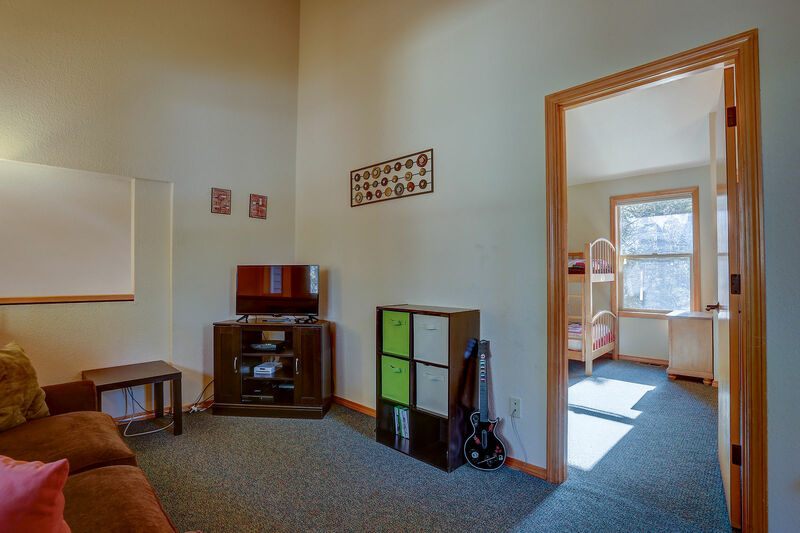 The home comes stocked with games and books. 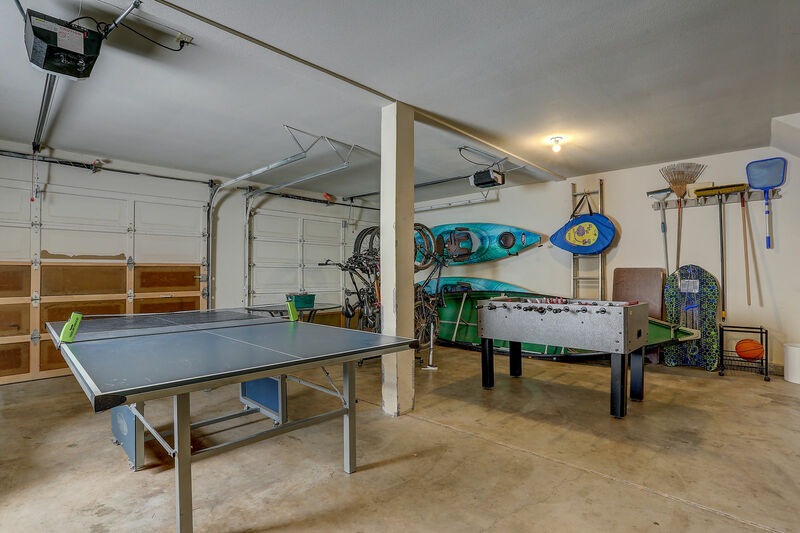 The garage is loaded with toys including Ping Pong, Foosball, Bikes and Kayaks! 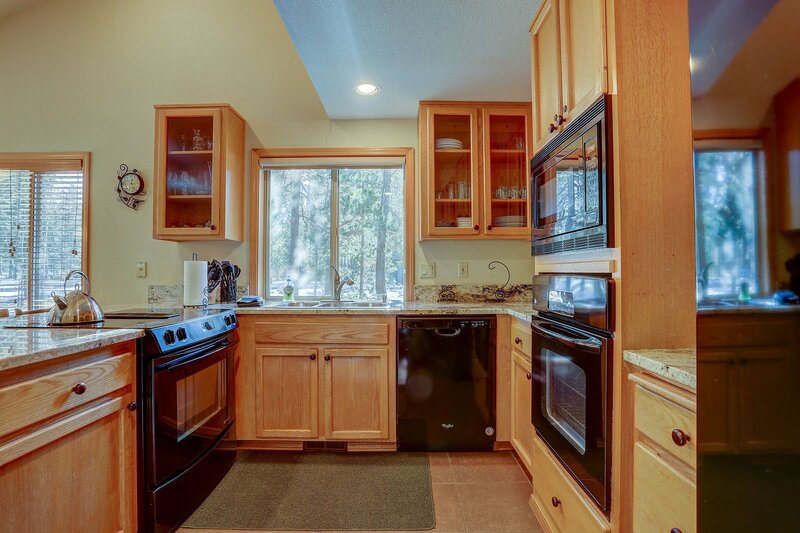 The kitchen is stocked with everything you need to prepare meals. 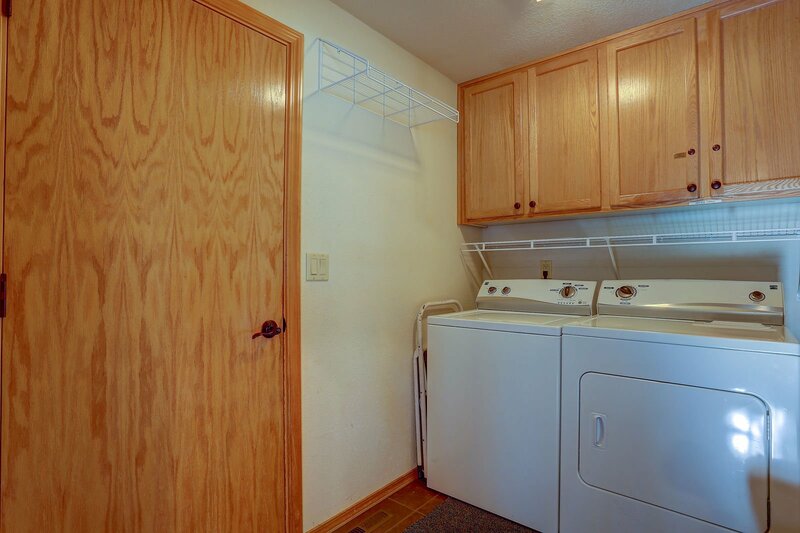 Just bring your food. 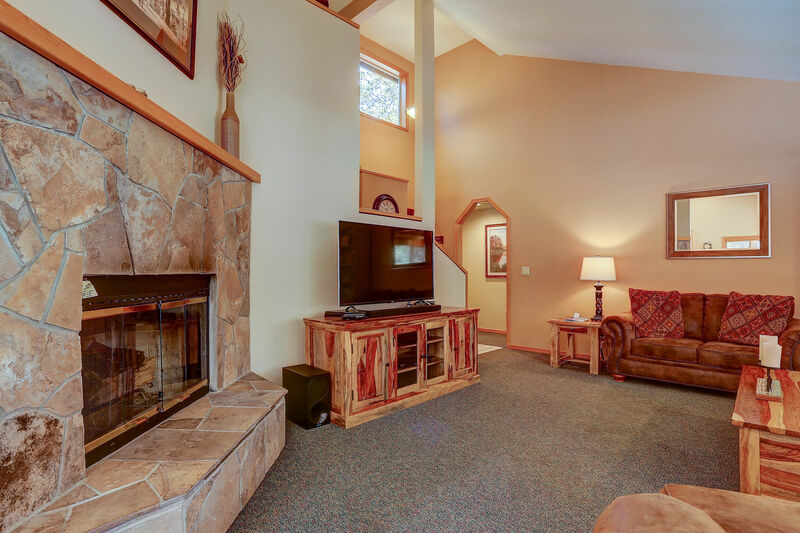 There is a double car garage with adult bikes, kayaks, ping pong table and plenty of entertainment for all. 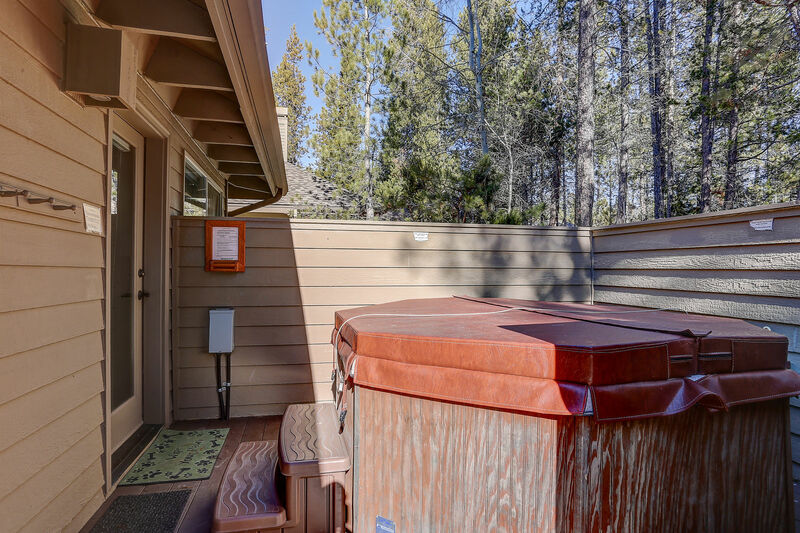 A private hot tub on the back deck is warm and welcoming. 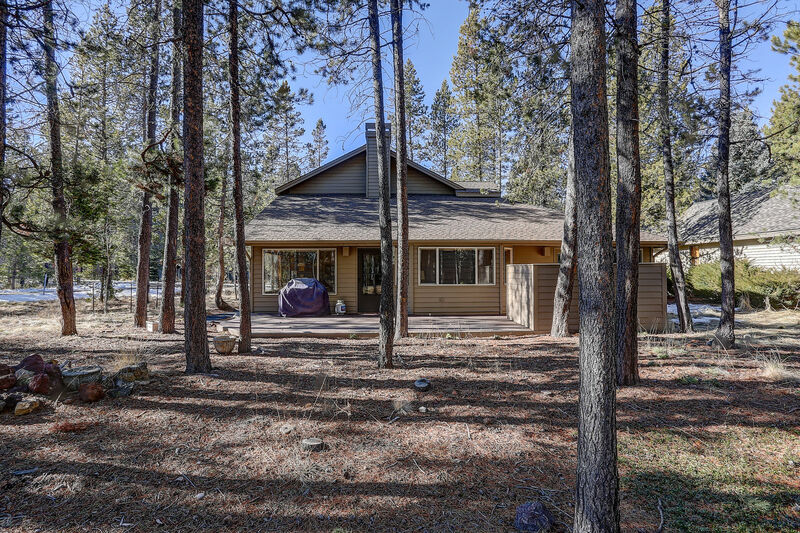 Cook dinner on the BBQ and then relax on the new outdoor furniture and enjoy the great outdoors of Sunriver.